Revolutionize your business with the WORLDPAC® app - now optimized for tablets! 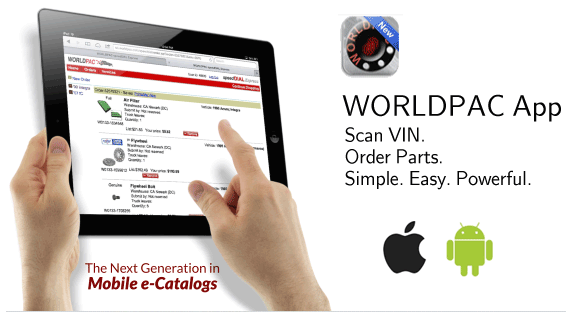 As an Independent Automotive Service Center, use the WORLDPAC app to scan VIN bar codes with your iOS™ and Android™ devices. Use speedDIAL Express® on your mobile device to order parts or instantly transmit a VIN number to speedDIAL®.